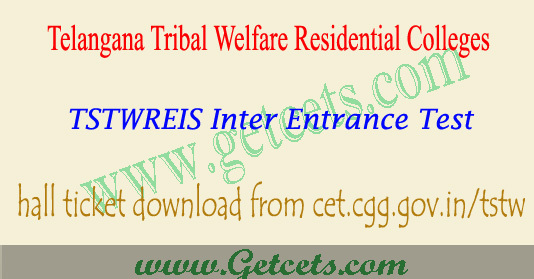 TTWREIS hall tickets 2020 tribal welfare gurukulam inter admissions : Telangana Tribal Welfare inter 1st year entrance test hall tickets will upload after 15th Jan 2020 on hosting website cet.cgg.gov.in/tstw/, So candidates downloading of TSTWREIS Intermediate 1st year gurukulam admission test ( Screening test ) hall ticket 2020 from last week of January, while downloading of tstwreis hall tickets 2019 aspirants collect the information like Registration Number & DOB (DD-MM-YY). We may again continue with TSTWREIS gurukulam admission test results 2020 for the academic year 2020-2021. According to this latest information, TSTWREIS Admit Card 2019 available from 15th Jan 2020. It consists of important details like Applicant Name, hall ticket Number, Exam Date, Instructions and Centre of the Examination that is going to conduct on Feb 10, 2020. The TS Tribal Welfare Inter admission test Hall Ticket 2020 is mandatory document that makes eligible for the Screening test at 1st level . Total Exam will conduct for 160 marks. Topics are from English, Physics, Chemistry and Maths for MPC Group and English, Physics, Chemistry and Biology for BiPC Group, 1st Level Screening Test on 10-02-2020 at 10:30 A.M. to 1:30 P.M. The active link TSTWREI gurukulam 2019 hall ticket download is available at the end. Result for Telangana Tribal welfare Gurukulam Inter Entrance Test will be released online. Candidates can check the result of TTWREIS 2020 by visiting the official website. 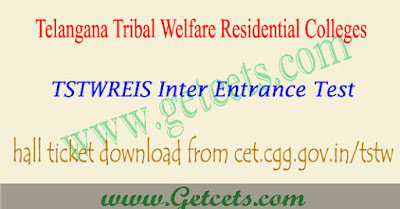 Candidates need to enter their TTWREIS Hall Ticket 2020 and other details to download their 1st screening test result. Candidates who will clear the 1st screening test will be selected for the 2nd screening test. After that admission will be done on the basis of counselling.